We always make an itinerary for our research trips, since it helps keep us on track. While many of the attractions are the base for our visit, we try to be a little more fluid with our restaurant plans. While I will certainly select a few “must try” locations, some of the others are open for change, as new information comes to light. 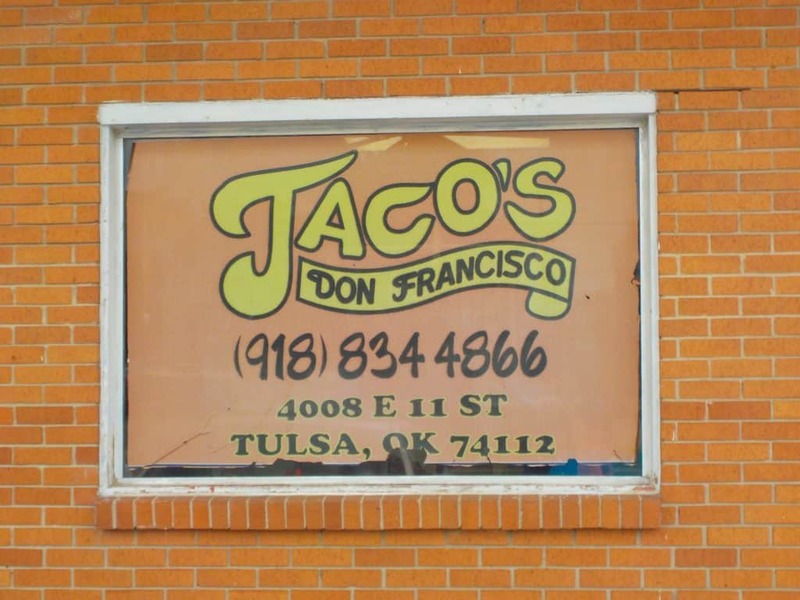 This was certainly the case for our unplanned visit to Tacos don Francisco in Tulsa, Oklahoma. During our visit to Glacier Confection (You can read more about this chocolatier here>), we got into a discussion about local restaurants. The topic of the conversation turned to Hole-in-the-Wall joints that offer surprising value and taste. A restaurant was mentioned that had not been on our radar, but certainly sounded intriguing. I made note of it, so that I could investigate later. It turned out that we would be somewhat in the neighborhood toward the end of our trip, so we decided to insert it in our plans. 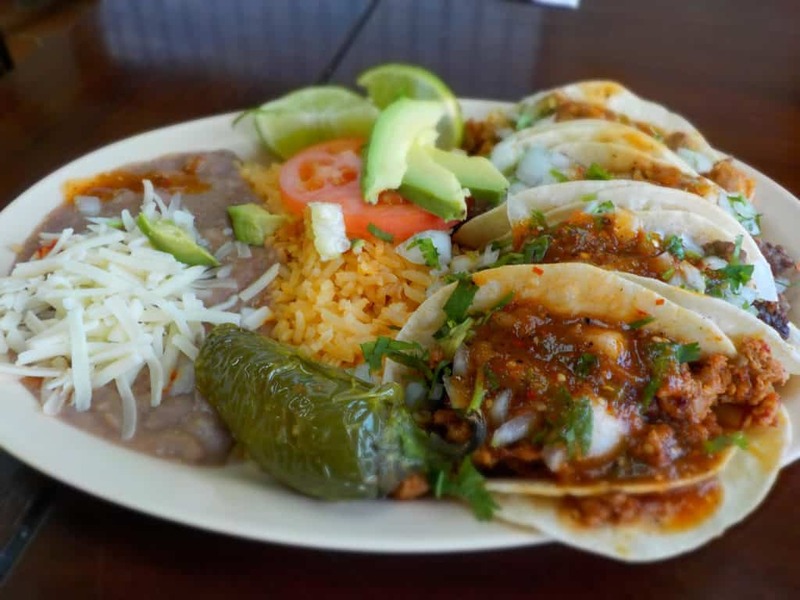 Tacos don Francisco is like so many of those places that people drive by, and hardly notice. It sits on a busy road that is lined by an assortment of small businesses. Pulling up to the building, we were hopeful that the outside didn’t reflect the quality of the food. This family operated business is no-frills dining, and has just a handful of tables for seating. Most of the customers appear to grab their meals to go, but we opted for the full “dine-in” experience. The prices are quite affordable, so we ordered a nice assortment of items from the menu. 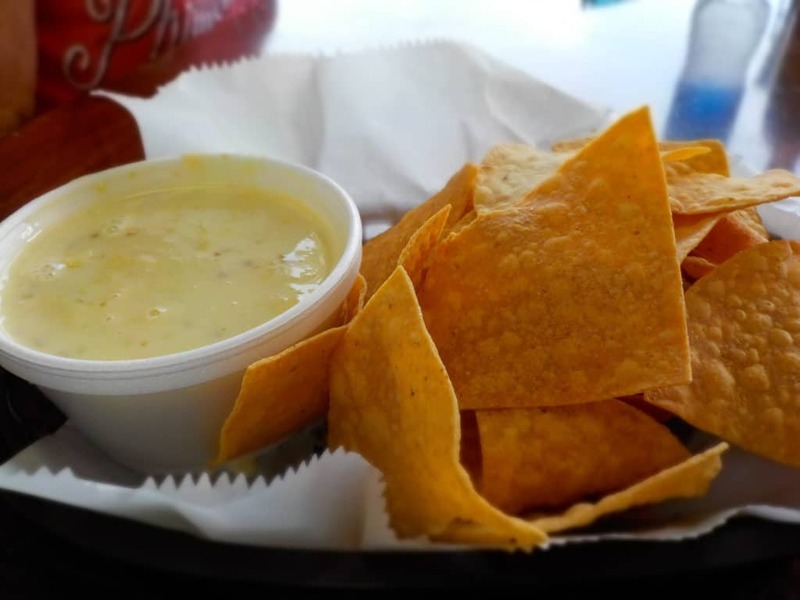 We started with some Queso cheese dip, which while a little thin, still had a nice flavor. This would tide us over until our main dishes were ready. The other plate was their Don Francisco, which is the signature platter. This usually includes three “street” tacos, but they tossed on a fourth, so that we could sample the different meat options. These were all delicious, but the beef pastor, and the chorizo were simply amazing. The dish comes with sides of rice and refried beans, which were also just standard fare. 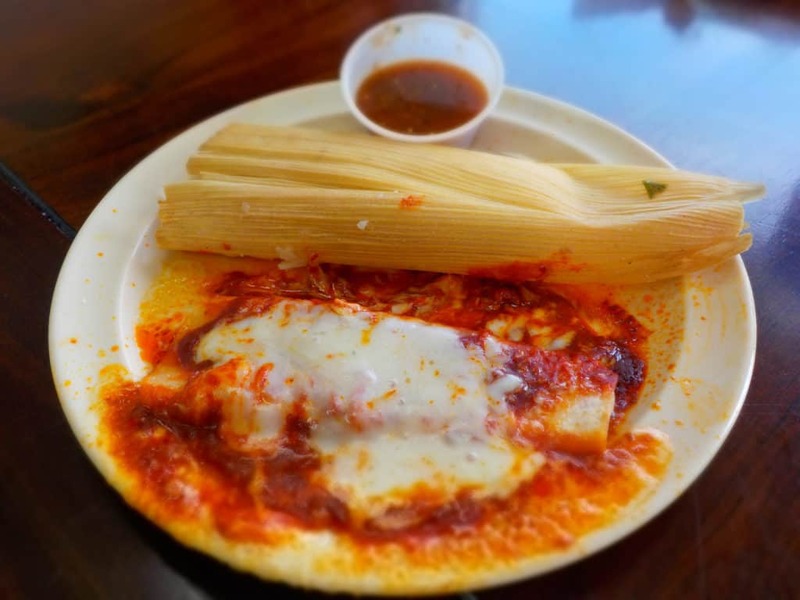 They also threw in a Chili Rellino, which is stuffed with cheese and enchilada sauce. We had more than enough food for two, and ate all that we could, before throwing in the towel. Our visit to Tacos don Francisco was a reminder that you can’t judge a restaurant by its exterior. 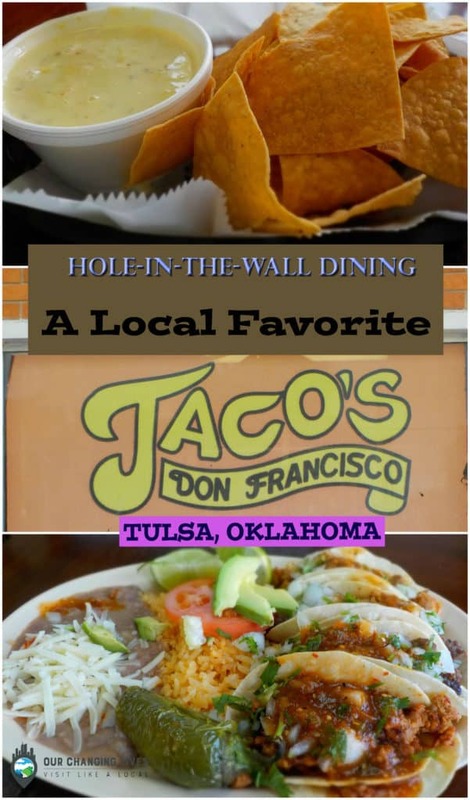 What “Hole-in-the-Wall” places have you found to be hidden gems? We are so grateful for every one of you, and hope your day is filled with love. We hope so, too. 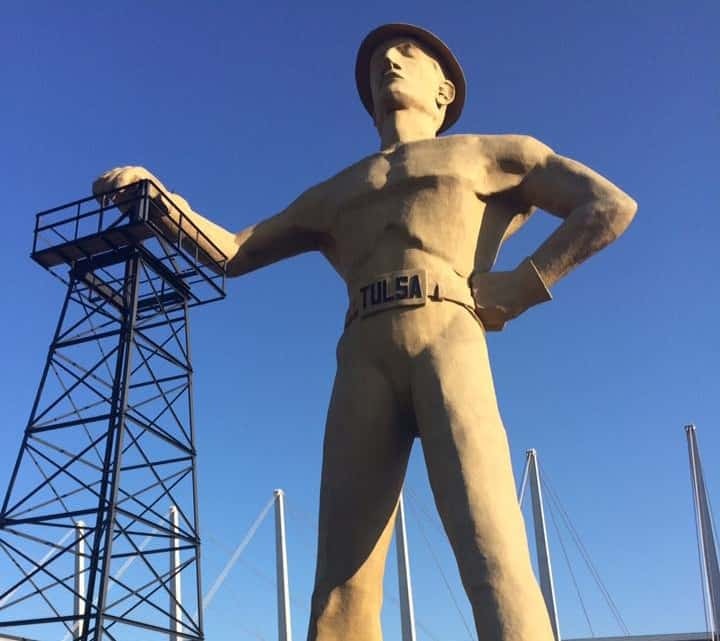 Be sure to explore the whole city of Tulsa. It’s filled with unexpected treasures.